If you are seeing this error message, the solution is to re-download and re-install the product. 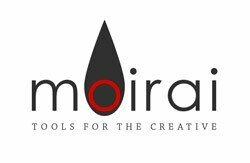 A new patch version, 3.1.2, is now available for download by all moirai Compositor v3 and moirai Encompass v2 customers. The new version has a fix to the part of the program that validates customers’ licenses. This bug has gone unknown for a long time thanks to “lenient” server software, which would accept the Compositor’s validation request even though it was malformed. But a software package was updated on our servers yesterday which makes it more strict (mostly for security purposes). But it now rejects all requests from older versions of the Compositor. Some customers clicked the Try Offline Validation button, only to find that the procedure was not feasible on Mac OS. The offline validation requires users to copy a large code and paste it into a form on the website. But on Mac OS, the text area containing the code could not be selected or copied. That has also been fixed in this patch release.